W.I.L.D. 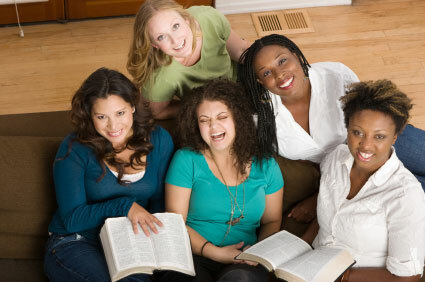 (Women in Leadership Development) is the name of New Covenant Christian Life Center’s women’s group. W.I.L.D. meets on the first Saturday of each month at 2pm (any changes will be posted on the calendar of events). Wild serves many purposes all of which are oriented to bringing women into a closer relationship with God, with the church, with their family, and with their communities. Women are encouraged to explore and seek out opportunities to use their gifts to do God’s will and seek His kingdom. The women of wild just completed a book study by Francis Chan called Crazy Love. The women were able to do a lot of self reflection and challenge themselves to build a deeper, more meaningful relationship with Jesus and with one another. They were asked to make God an obsession, because He has made an obsession out of us. In 2013, wild will be focusing more on the influences each woman has in their communities, and that those influences are positive reflections of God’s love. Francis Chan wrote that, “the way we live this day is the way we live our life.” It seems only appropriate that we examine our environments, how they affect us and how we affect them. Wild will continue to utilize leadership resources in ways that will engage participants while providing opportunities and support for individual growth.